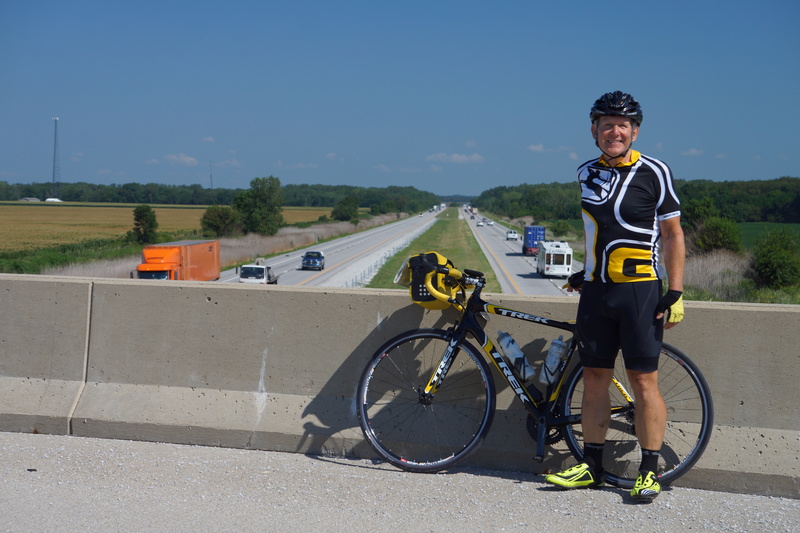 Mile 25: First view of Indiana – glorious day. Rather than retracing our ride back to the main route (our hotel in Watseka was 6 miles off route), we individually choose country roads for the first 15 miles to Iroquois, IL to rejoin the main route. It was a beautiful day for riding. On the route I picked, I happened upon a ranch of Clydesdale horses. Unfortunately, the lack of sunlight and distance of the dozen or so Clydesdales did not allow of a photo. Leaving Illinois was a sorrow. Our biking in Illinois was clearly the most in any state on rural and little traveled roads which provided a unique private experience. Additionally, the roads overall were the best for biking of any state on our tour. The miles and miles and miles of farms and ranches were particularly beautiful when the sun came out. It was with nostalgia that I biked into Indiana, my home state for the first 23 years of my life. Mile after mile of biking the country roads brought back memories of rural Madison County. The small towns I passed through reminded me of places like Lapel, Elwood, and Middletown near my home in Anderson. Biking through Buffalo, IN was surprising as I didn’t remember that Indiana had a city named Buffalo. At the end of the day (with an 11 mile off route bike ride due to the lack of lodging on the main route) we reached the Best Western in Monticello (one of the nicest hotels on our tour so far). I remember visiting Monticello as a child on vacations and to visit relatives (which relatives I don’t remember). We passed many vacations homes on lakes and rivers in the area in Lake Freeman and the Tippecanoe River where my family used to vacation. 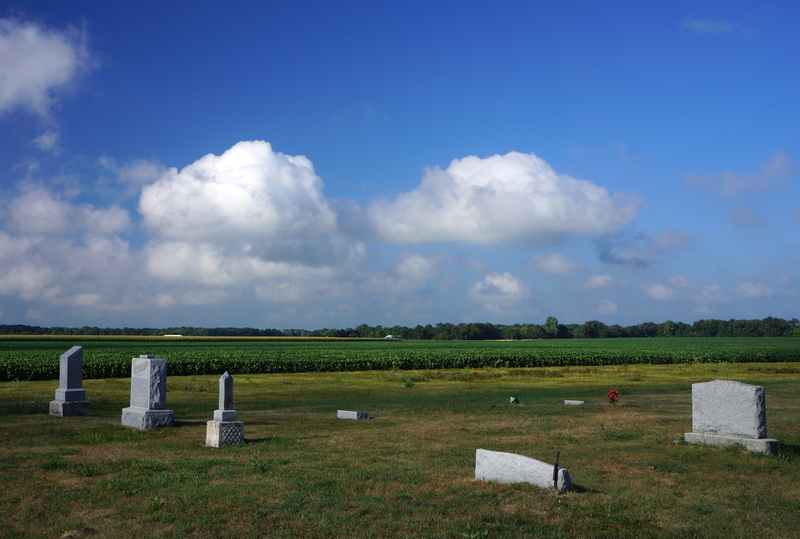 Mile 1: Last view of Illinois at the Morris Cemetery on the Indiana border. Only our map indicated that this was the state line between Illinois and Indiana (no welcoming or departing signs). Mile 29: Our first SAG rest stop was at a community park in Brook, IN. 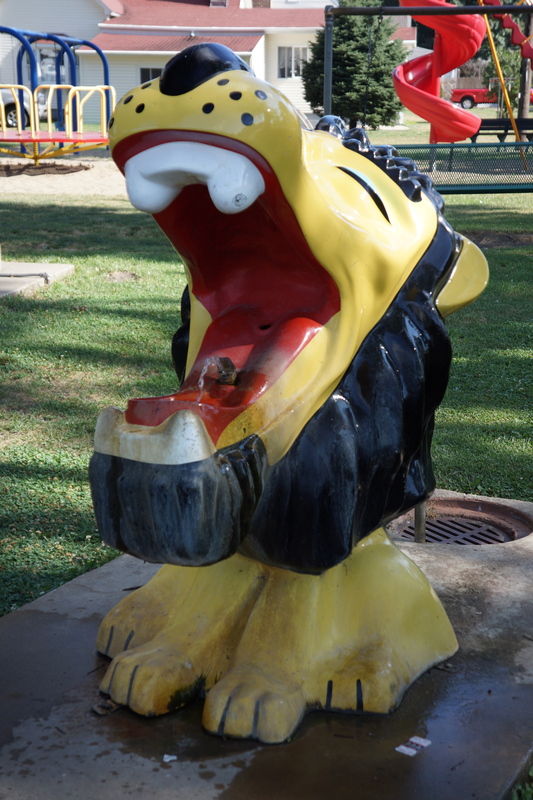 I don’t think I have ever seen a water fountain inside the mouth of a lion. Mile 39: Crossing Interstate 65 near Rensselaer, IN. 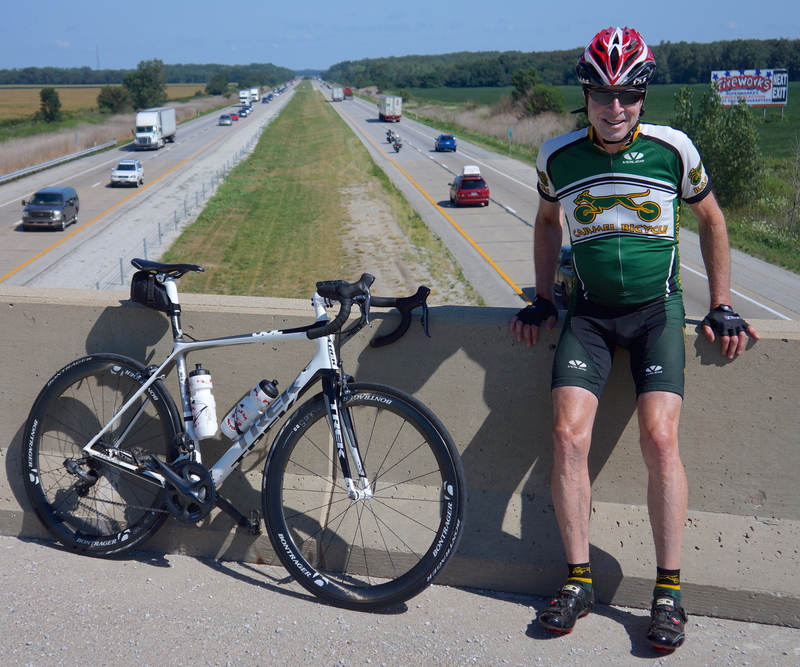 Mile 39: Robert crossing Interstate 65 near Rensselaer, IN. 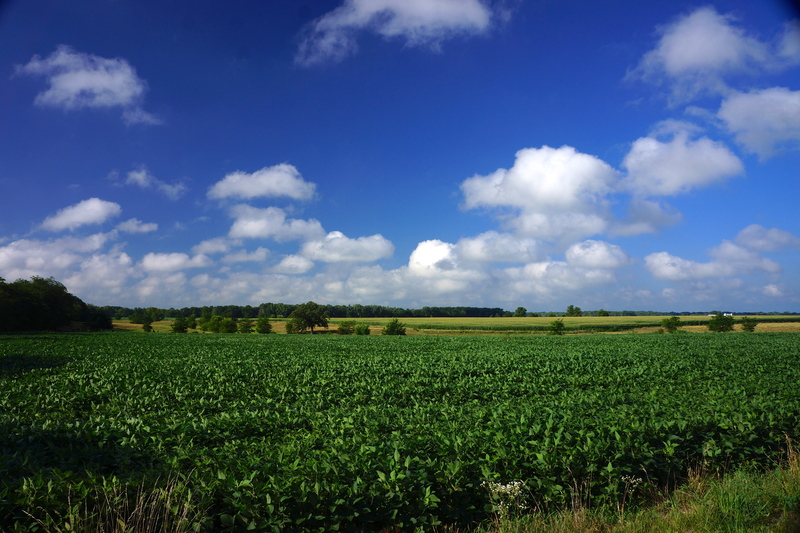 Mile 39: View of Indiana farmlands from Interstate 65 overpass. This entry was posted on July 30, 2012 by Steve. It was filed under Photograph of the Day . Looking forward to catching up in person with both of you soon.